Shridevi Degree College lays equal importance in honing the extra curricular activities as academics. The students are encouraged to train themselves in various talents. Such as Art, Music, Theatre, Sports, Dance etc. Their talents are show-cased in the prestigious annual cultural festival-yuva sangama, as also in various inter-collegiate competitions. Shridevi Degree College is a home for students from various countries and regions and this gives the students tremendous opportunities to observe and learn from the diverse culture and its manifestations in these extra curricular events. Yoga Club conducts spiritual discourses for practicing meditation, Pranayam, relaxation technique to improve memory power and concentration etc. The Yoga Club was inaugurated by the hands of Sri Swamy Veereshananda Swamy to provide a semblance mind & tranquility through yoga practices, wherein meditation, pranayama, relaxation techniques, etc. Are taught. A full time yoga teacher an international awardee is appointed to conduct the yoga classes. The yoga classes are made compulsory for all hostilities especially for the new entrants. The post graduation students (MBA), is designed at the college level & made as a part of the curriculum. The practice session are included in the regular time table. Yoga Club conducts spiritual discourses for practicing meditation, Pranayam, relaxation technique to improve memory power and concentration etc. Yoga classes are conducted for the students of Engineering and MBA students regularly. the catabolic process of cell deteroiortion. To get the maximum benefits of yoga one has to combine the practice of yogasanas, pranayama and meditation. Regular practice of asanas, pranayama and meditation can help such diverse alingnments such as diabetes, blood pressure, digestive disorders, arthritics, arteriosclerosis, chronic fatigue, asthma, various veins and heart conditions. Research into the effect of yoga practice on HIV is currently underway with promising results. According to medical scientists, yoga therapy as successful because of the balance created in the nervous and endocrine system directly influences all the other systems and organs of the body yoga acts both as a creative and preventive therapy. The very essence of yoga lies in attaining mental peace, improved concentration power , a relaxed state of living & harmoney in relationships. An adventure is an activity that compares risky dangerous an uncertain experience. The term is popular used in reference physical activity that some potential dangerous such as skydiving, mountain climbing and external sports. This club organizes tours to historic places, trekking, rappelling, paragliding, valley crossing, wild life observations, etc. The adventure Club was established with a motto to mould the students to take up challeges, risk taking ability, enterprising nature and to build confidence. The club inaugurated by Dr. Harsha, IPS, Superintendent of Police & Ms. Archana, international Climber. The club organizes regularly for trekking, rappling, rock climbing, nature watch, rafting, etc, during the academic semester. The institution has institutional membership of General Thimmaiah Academy of Adventures.The adventure Club was established with a motto to mould the students to take up challeges, risk taking ability, enterprising nature and to build confidence. The club inaugurated by Dr. Harsha, IPS, Superintendent of Police & Ms. Archana, international Climber. 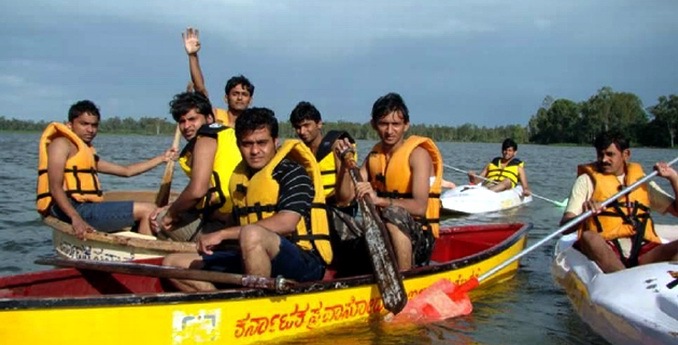 The club organizes regularly for trekking, rappling, rock climbing, nature watch, rafting, etc, during the academic semester. The institution has institutional membership of General Thimmaiah Academy of Adventures. This club organizes tours to historic places, trekking, rappelling, valley crossing, wild life observations, etc. It provides opportunities to develop strong minds which prepares them to face challenges of ever competitive world. It also has the Institutional Membership to General Thimmaiah Academy of Adventure. Following are the Members of the Adventure Club. The Institute has started NSS unit to imbibe 'Not me, but you' - NSS slogan. This unit has 100 volunteers and is headed by programme officer. The students are motivated and oriented to work towards social services like literacy awareness, AIDS awareness programmes, blood donation camp, NCC plantation etc. It also conducts 10 days special camp. 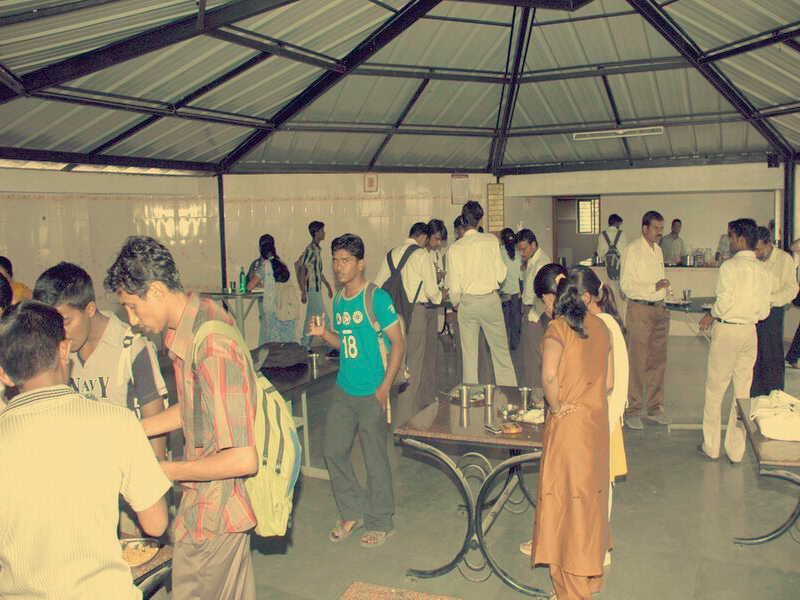 Participation in NSS makes students socially responsible. A 10 days special camp is being conducted every year in which student volunteers have participated zealously with great success. The motto or watch of the national service scheme is ‘not me but you’. This expresses the essence of democratic living and upholds the need for selfless service and appreciation of the other man’s point of view and also to show consideration for fellow human beings. It underlines that the welfare of an individual is ultimately dependent on the welfare of the society as a whole. Therefore, it should be the aim of the nss to demonstrate this motto in its day-to-day programme. Technical Films, Feature Films, Scientific Discovery Clippings, Commercial Movies are being screened on every Saturday for students entertainment.